I love this will show you how it goes on Daz 9 :( I needed more genesis clothes, now we have genesis 3! and then they will do a four and five, I am going to donate when I see how these fit in Daz 9. 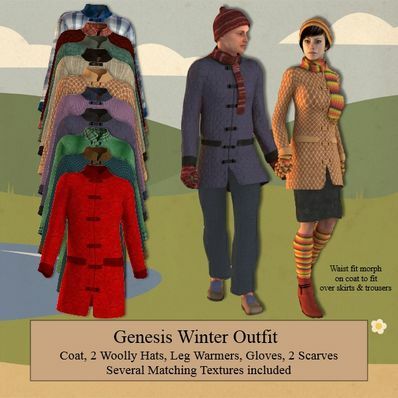 Love everything, the warmers, the different hats, various textures and so love the gloves! Thank you so much!